Felicitas von Freyberg (1492-after 1553) was the wife of Leonhard von Eck (1480-1550), a Bavarian nobleman who served as chancellor of Bavaria for thirty years. 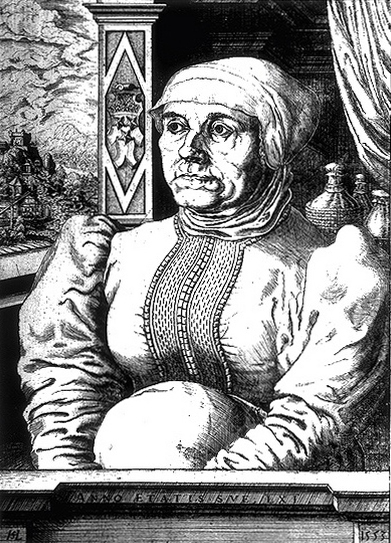 The woodcut below is one of two pendant portraits she commissioned after her husband’s death in 1550. Woodcut by Hans Sebald Lautensack (1520-66), 1553.